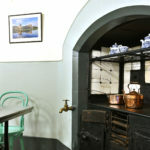 If you’ve visited Castell Coch recently, you may have seen the beautifully re-designed tea room. 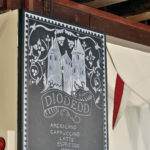 The transformation is part of a range of developments to enhance the visitor experience at Cardiff’s fairytale castle. Jane Ormsby Gore and Becky Wade of JR Design completed the work and Jane describes it as, “A balance of inspiration from the Victorian decoration of the castle and quality modern materials”. A balance of inspiration from the Victorian decoration of the castle and quality modern materials. 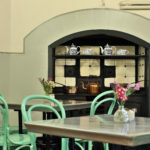 “The classic Bentwood bistro furniture was designed in the same era and the chairs painted an ‘Arsenic’ green colour taken from one of the vaulted ceilings” said Jane. “Benches are currently being made for the courtyard, recreating a design attributed to Pugin, to encourage outdoor use – Castell Coch was created for entertainment and enjoyment after all”. 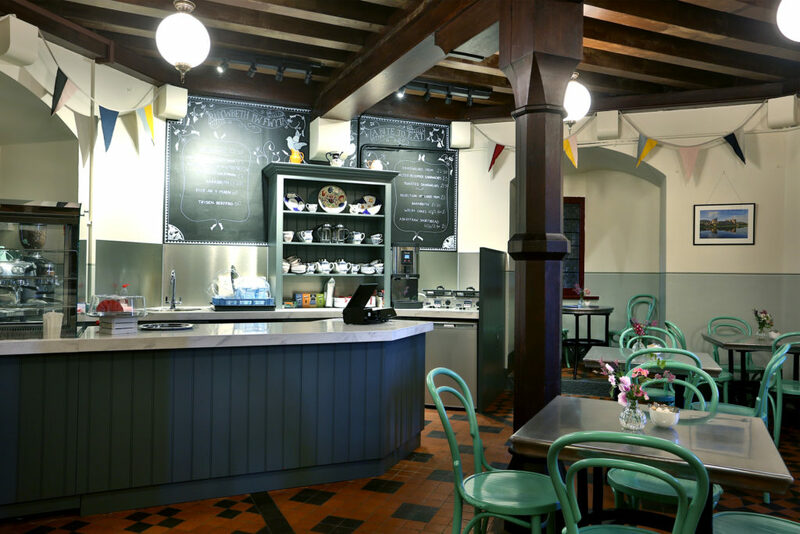 Jayne Rowlands, Cadw’s head of estates and property, said “The project provided Cadw with an exciting opportunity to create an authentic period tearoom experience for our visitors. 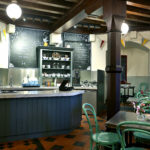 The tea room look and feel needed to match the status of one of Cardiff’s most significant and iconic visitor attractions. Castell Coch welcomes 70,000 visitors each year and visitor feedback told us customers expect to be able to get some refreshment when they visit. When drawing up the scheme we needed to reflect the high-quality furnishing and craftsmanship associated with Castell Coch”. Nerys Howell of Nerys Howell Food Consultancy created a seasonal menu, which includes sandwiches, cakes and an array of other light refreshments. Newly opened tea room at Castell Coch – Lesley Evans, Head Custodian, Sally Anne Tucker, Commercial Manager and Tim Parry, Custodian. 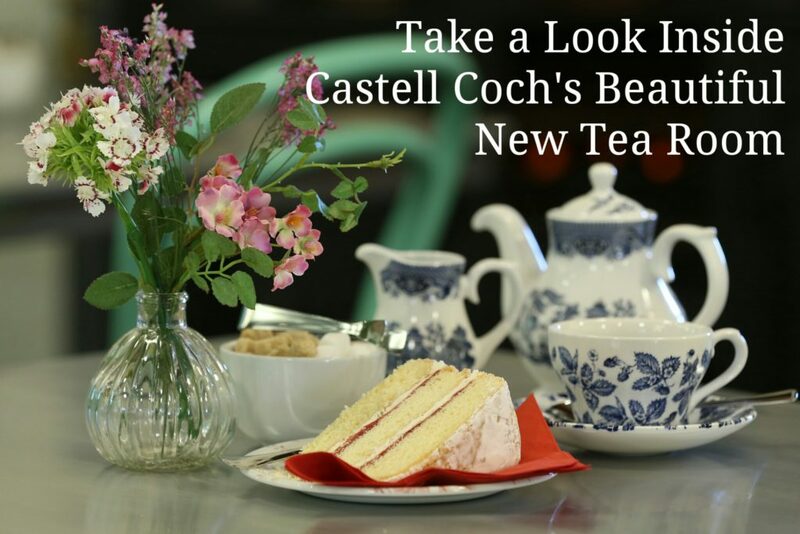 “We are very proud of the range and quality of food suppliers in Wales and the tearooms at Castell Coch will highlight this.” said Nerys. “The menu offers a great selection of tasty treats – all sourced from exclusively Welsh suppliers. “We have worked closely with staff to create a real sense of place for visitors, forming a menu which complements both the opulence of the castle and the stylish décor of the tearooms. You can even order a signature Castell Coch coffee blend. You can even order a signature Castell Coch coffee blend. 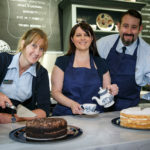 The tea room offers freshly sliced Victoria sponge, chocolate fudge cake, weekly specials and traditional Welsh favourites. There’s also a changing selection of gluten free options on offer. 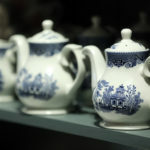 The tea room is open during opening hours. Guests not paying to enter the castle are welcome. For enquiries and bookings, please call 029 2081 0101. 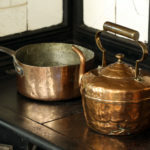 Read other great articles featuring Castell Coch. 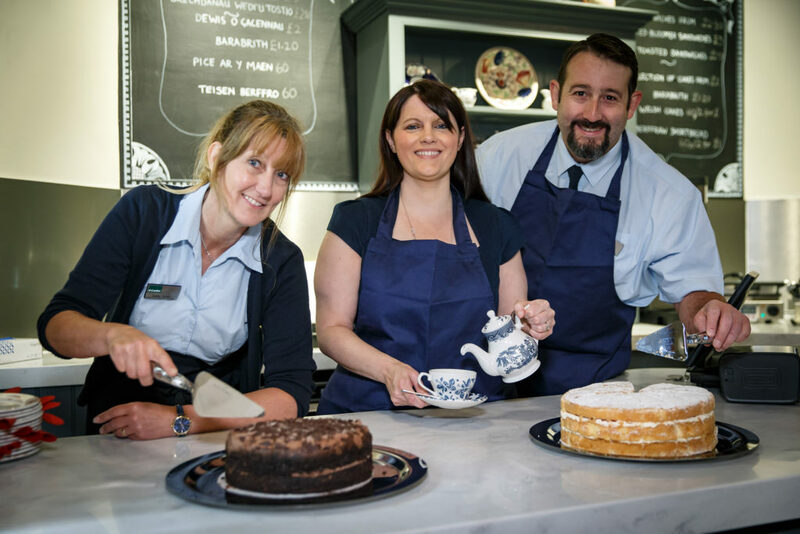 Newly opened Tea Rooms at Castell Coch – Lesley Evans, Head Custodian, Sally Anne Tucker, Commercial Manager and Tim Parry, Custodian.